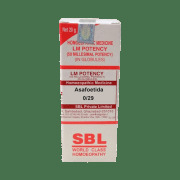 SBL Asafoetida is a homeopathic solution to treat several ailments. It is primarily used to treat conditions of excessive flatulence with severe pain in the stomach. it relieves most of the symptoms associated with flatulence including indigestion, constipation and stomach cramps. It can also be used to treat pain the eyes and the surrounding region causing severe discomfort. 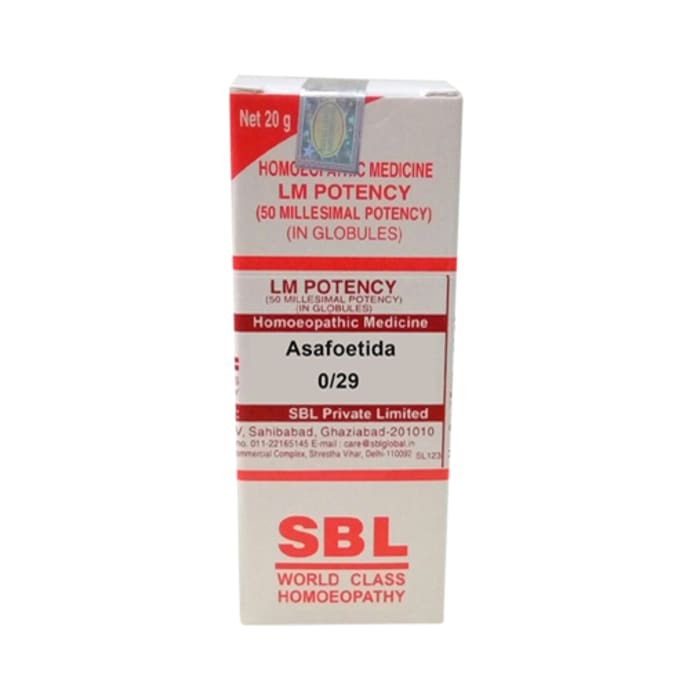 A licensed pharmacy from your nearest location will deliver SBL Asafoetida 0/29 LM. Once the pharmacy accepts your order, the details of the pharmacy will be shared with you. Acceptance of your order is based on the validity of your prescription and the availability of this medicine.